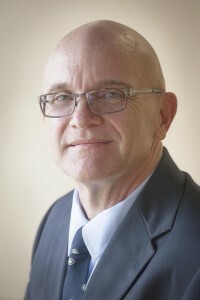 Mark Grabowski has been the Director of Safety & Security at Southwest Baptist University since 1991. He is board certified in security management as a Certified Protection Professional. He is also a CPO (Certified Protection Officer) and CSHS (Certified Safety & Health Specialist). Additionally he has a B.S. in Recreation & Parks Management from Penn State; M.A. in Religious Education from Southwestern Baptist Theological Seminary and a M.S. in Criminal Justice from Drury University.